Apart from the security issues with the well-known password, this was adding another step of hassle whenever I needed to do some karaf operations or simply shut down my server for updates. I always wanted to read up on Karaf to see how I can use key based logins, but somehow never got around to do that. Create a key on the connecting client through your usual methods (e.g. ssh-keygen). This step is optional if you already have a key you are using for your other systems. You can have multiple usernames if you decide to allow access to your openhab core for multiple users. Of course, all of this might be moot when openHAB Cloud is released (on December 15th I believe). Admittedly, I was thinking about building some stuff, maybe automating my windows blinds after all, or change my lighting system to something more automatable (MiLight was not really what I was expected at the beginning), but no big changes ever happened. Some time ago, I wanted to have nice colorful lights in my automated home. And, not wanting to spend too much money, I went with the IWY lights. But you know what they say… Buy cheaply and you will buy twice. Which is exactly what happened, in the end, I got fed up with the missing backlink of the IWY bulbs and went with the “industry standard” of Hue lights. Also, they are considered to be the “hello world” of home automation systems. Any system worth its salt has to be able to talk to the Hue bulbs. 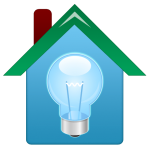 Which, of course, includes openHAB. For various reasons (not the least of them being that I am a geek prone to overengineering 🙂 ), my openhab installation consists of multiple Rasperry Pi nodes. The data collected is pushed via HTTP (upcoming: mqtt) to the server node. Also, there are some precautions in place to avoid overloading the OH2 server while keeping a short response time to events. The first script published there is for the magnetic window contacts. Soooooo…. I got bitten by the automate-your-living-environment bug, too. Actually, my reasons for home automation started off a little bit differently. My house is heated with a Vaillant EcoCompact unit. Most of the time, this thing works pretty reliably. Unfortunately, some of the times, it just decides to get into a fault state and stops heating. More unfortunately, this is usually sometime in the morning and I discover the problem when I get only cold water in the shover. Without precise information how often and when this issue occurs, the maintenance company just comes to my place, tells me that they cannot find any fault and leave me with yet another bill. The low-tech and works-for-everyone way of logging this information is simply putting a sheet of paper next to the heating unit and write down the dates, but what self-respecting geek would go with low-tech solutions? An appropriate high-tech solution which appeals to my geeky sensibilities would be to add home automation functionality to my already overloaded server in the basement. Therefore……..